Can You Make Money From Selling Wholesale on Amazon FBA? 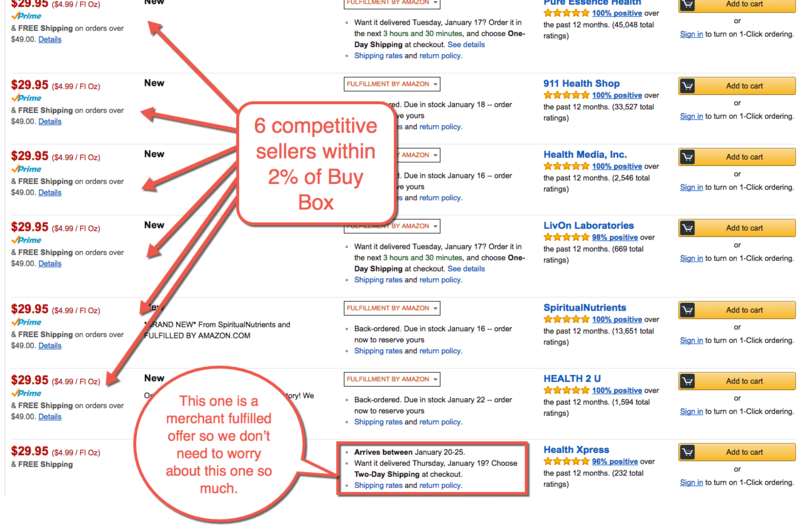 There’s not so much information to be found on the internet about Wholesale Selling on Amazon. The interesting stuff that you do tend to find is debate over whether or not wholesale on Amazon is a profitable business venture. How is it different to the private label model? Can you build a profitable business with wholesale on Amazon? How do you identify products with wholesale potential? What do you do when you find those products? 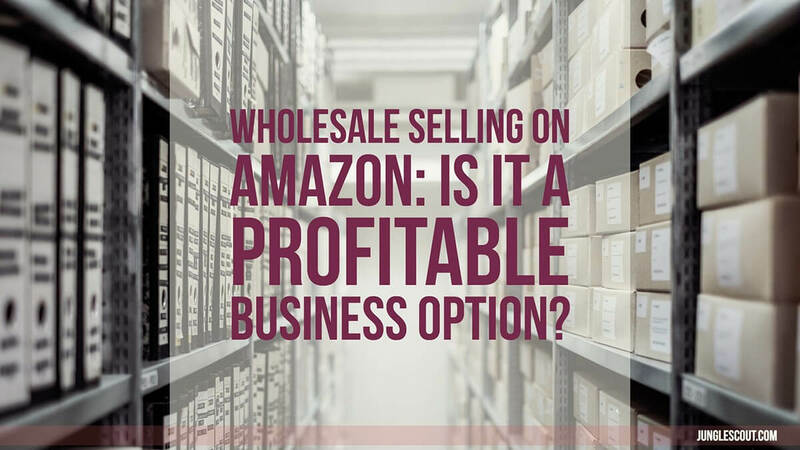 This post is going to explore the above questions in detail, ultimately to highlight that with the correct research and preparation, wholesale selling on Amazon is still a viable business option. Back in September 2016 we hosted a really insightful webinar with wholesale expert Dan Meadors from The Wholesale Formula. If you have some time (1 hour and 12 minutes of it), you can watch the replay here. I wanted to retrospectively share the key points Dan made as well as my own learnings and thoughts on the subject here in this post. 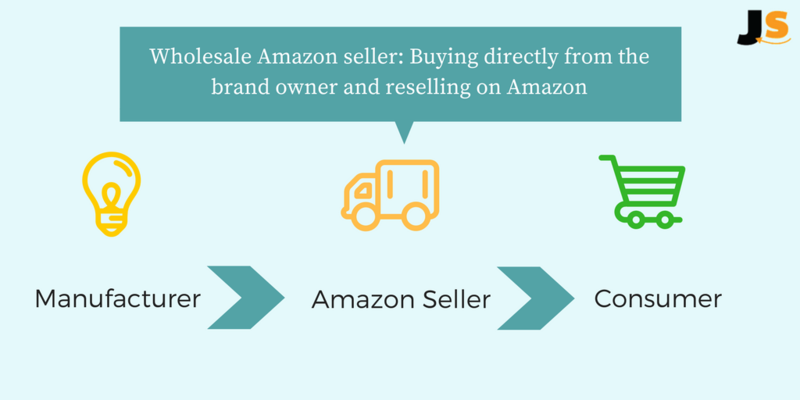 Selling wholesale on Amazon is a model which means you purchase items directly from the manufacturer and then sell them as a reseller on Amazon, to consumers. This means you are not launching a new brand, creating new listings or trying to add value to a product within a niche where there is opportunity. Instead you are buying products from established brands, and selling them as a reseller on the Amazon marketplace. Generally this requires having a wholesale license*, and over time, building up strong relationships by exercising your buying and selling power to manufacturers. Many wholesale businesses will focus a lot of energy on sourcing and forming these relationships, in order to scale the business. *Make sure you look into what the wholesale license requirements are in your country or state. So why bother selling products that already have an established brand? Well there are pros and cons to all business models. Let’s take a look at how this model differs from the other two popular ones, retail arbitrage and private label. How does wholesale differ from retail arbitrage? Retail arbitrage requires a lot of time and physical effort to source the products you are going to sell on Amazon. It’s still a viable business option, but it’s not as scalable because of the time and effort required to be out there on the streets finding products. Even online arbitrage is time consuming, despite cutting out the amount of travelling you might be required to do. There are plenty of successful wholesale sellers as well as private label sellers who started out with retail arbitrage once upon a time. But guess what? The successful ones mainly moved on to a new business model. How does wholesale differ from private label? Just like with retail arbitrage, private label has a different set of advantages and requirements compared to wholesale. The main difference between private label and wholesale is that when you contact a manufacturer as a private label seller, you are looking for an appropriate manufacturer to make your product idea. Plus you are usually trying to improve or add to a product that already exists. You then buy the inventory from your chosen manufacturer and send it to Amazon’s warehouse. With wholesale, you are looking to contact the manufacturer as the brand owner. For example, if you tried to sell Samsung smart phones that you sourced from a supplier in China, but did not source from the brand owner (Samsung), you would be selling counterfeit items. Not cool! Many private label sellers usually utilize Amazon’s fulfillment services. Whereas with the wholesale business model, you can often find sellers both using FBA or managing the warehousing and distribution themselves. But, you can still do Amazon FBA too! Note: some of the above are true of the private label model, too! So you are looking for products that will sell, that you can go back to the manufacturer and reorder more stock as needed, and of course, you don’t want to be selling product that is at the end of it’s lifecycle. You can start by investigating niches, competitors and browsing in the Amazon categories and sub-categories. Similar to starting up your product research for private labelling, you just need to dive in and not be afraid to dig around. The main thing is that you need to keep your criteria in mind, so you know when you find something that might carry opportunity. 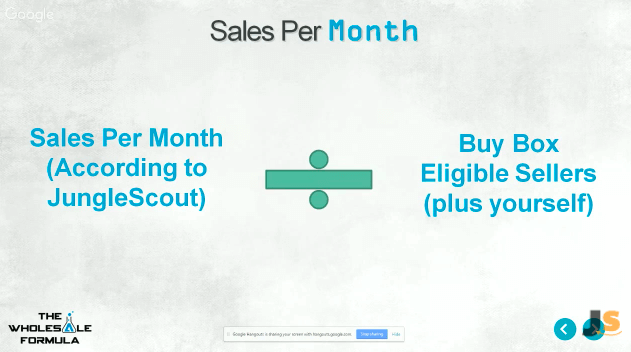 You also need a way to uncover estimated monthly sales, which is going to be really powerful in getting you all of the data you need to make smart purchasing decisions. Don’t forget you can also use the Product Estimator tool, plus BSR to get estimated Amazon sales for free. Let’s just run through the process once using some product brands that Dan touched on within the webinar: Vitamins. Dan’s thought processes on wholesale product research were super transparent and really insightful so all credit to him. We can see that there are 8 sellers on Amazon, but we want to know how many competitive sellers there are. Dan’s method was to find out how many sellers are selling at 2% within the buy box (the lowest Amazon Prime price). With this particular product you can see everyone is selling at the same price. Sometimes, brands and manufacturers might specify that resellers have to sell their products at a particular price. This isn’t something to worry about necessarily, as we will discover in a moment. Let’s pretend there is a range of prices here. We would want to do a calculation to find out how many sellers are within the 2% competitive range. So in this case, it would be 29.95 x 1.02% = $30.54. So any sellers above $30.54 are not considered competitive. Once you have the number of competitive sellers, you can take this divide by the estimated monthly sales. But don’t forget to add yourself. In this example there are 6 competitive sellers (because they’re all selling at $29.95) and potentially me. So I can take the estimated monthly sales we found earlier, 3,388 and divide this by 7. The scores on the doors? 484 estimated sales per month. That’s pretty good going. Even if I was a newer seller and got less cycles in the buy box, I can still expect to take a portion of the equity. So even though all sellers are using the same listing price, there are still enough monthly sales for me to come in and take some profits. In this case I will add this product to my list of potential and consider contacting LivOn to become an approved reseller. As soon as you get into serious talks with a manufacturer, you will be able to figure out your profit margins and thus, your estimated profits based on these estimated sales and your expenses. The key thing to remember here is, don’t be put off by a high number of sellers of a product – it’s more about finding products where there is enough monthly sales and few enough competitive sellers, for you to enter the marketplace with this product. We already have the brand name from our previous research on Amazon. As mentioned before, a quick Google should land you the manufacturer / brand contact details. If they come back with a resounding “no” at first, that doesn’t mean it’s the end. Remember that these manufacturers are big companies concerned with new product development, patents, global marketing initiatives and so on. So you have a fantastic advantage to negotiate with here. You can help them with selling on Amazon, because they don’t have the time or know-how to do it themselves. You are extending their brand and increasing their sales. They don’t have to do much work in order for you to do that. This is your advantage. Similar to selling with a private label model, or indeed for most and any ecommerce sellers, it’s very important to manage inventory effectively. Even if you are housing inventory in your own warehouse, you want to keep costs to a minimum, and you want to stock the right amount. Not too much and not too little. This is another reason why your research during sourcing is so important. In figuring out your average monthly sales you can start to estimate your stock requirements, even before you have sales history of that particular product. If you are considering becoming a wholesale Amazon seller, remember all sellers have to start somewhere. Try not to worry about a lack of sales history or profile strength. Even when you are less competitive on that buy box, if you get your research right and start selling products, you will be moving forwards. As you are growing and scaling upwards you will still be getting sales. Even if your share of it is less than your competitors, until you build a stronger profile. All businesses have to go through the initial growth period and this is just something you need to be prepared for and mindful of. For example, when you are in the sourcing phase, factor this in to your product research. If you see there are large sellers within 2% of the buy box, you can make a decision based on how competitive it is and how much equity you would get as a relatively new seller. You may want to exclude potential products from your selection process at this stage (but be sure to save them as ideas for later). Wholesale selling on Amazon is definitely a viable business model that has a lot of potential. The key to success is knowing how to do your research right, getting really good at negotiating with manufacturers and building up a strong profile on Amazon. I personally chose the private label route, so maybe I am a little biased because it is how I built my own business on Amazon. But listening to Dan’s genius insights on the webinar we did together really made me see Wholesale in a new light. Inspiring stuff! What are your thoughts? Are you a wholesale seller or looking to become one? Let us know in the comments? what is the percentage we need to give amazon for wholesale for apparels and garments ?? Amazon takes a 17% referral fee for clothing. Hope that’s helpful! I got my idea but l want the name of the manufacturer to buy what want not to be a third part buying and selling please help. I’d look into either Amazon handmade or just packaging your products and creating a listging for them. The wholesale selling is a potential concept in business. The success and viability of wholesale selling on Amazon are highly predicted. Selecting the products that aren’t already on Amazon platform for selling on Amazon as an exclusive seller can be a profitable deal. Before implementing any idea into a business, calculate the estimated cost of products purchase, its selling cost, profit margin, and ROI and then only finalize the decision. Always keep the good relations with the manufacturers and brand owners from whom you are purchasing your inventory so that you can always fulfill your customer’s orders. Though starting from the research of products and manufacturers to managing the wholesale business on Amazon require some efforts yet it would turn into ripen fruits. Don’t miss out any reason for selling on Amazon. I have, just a little more involved to do PL. Wholesale seemed like an easier route. I’ve watched your million dollar case study, really great stuff!! I may end up going that route. It’s always best to do what you’re most comfortable with! And we know plenty of sellers who’ve made quite a bit doing wholesale. Having said that, it is far more competitive than private label since it is, in fact, less involved. And less involved = lower barriers of entry. Lower barriers of entry = more competitors, including big Papa Amazon. I myself started off in wholesaling. I bought used books and flipped them. It’s a little different than some varieties of wholesaling, but the process was the same. The toughest part of wholesaling is “race to the bottom”… when the only way you have to distinguish yourself is price. Plus, lower prices tend to win the buy box–unless, of course, Amazon’s competing, too. Amazon always wins the buy box! And they don’t mind losing money to be the lowest. In the video Dan mentions not to wholesale products where Amazon is a seller. I spent considerable time researching products in many different categories and especially the pet supply niche. Every single viable product I found had Amazon as a seller. Upon calling some of the manufactures, I was told not to bother trying to compete with Amazon because of the volume discount they get. It seems Amazon finds the well performing products and can undercut everyone. I literally was not able to find a single product to sell. I am really interested in selling on Amazon but it seems it has become way to competitive. Have you considered going the private label route? I was contacted by a Manufacturer about listing their products on Amazon for them. They have a website and FB page but nothing on Amazon. What suggestions would you have for this type situation as far as how to proceed, what questions to ask, how to style a contractual agreement, etc? Did they contact you via Amazon or by email? With the Amazon-based solicitations, I usually ignore them or mark as no reply needed. In my experience, those companies are just starting out and don’t have trade assurance, references, etc.–the stuff that makes me trust them on Alibaba. Additionally, they may just be a supplier and not actually manufacture the goods themselves. If you do try to work with them, make sure you do so through safe channels such as Alibaba Trade Assurance or, at the very least, PayPal. And always be sure to get plenty of samples to inspect the quality of what they’re trying to sell you. In the next couple weeks, Kym, Lenny, Becky, Greg, and I will discuss import and sourcing methods in the Genius Series, and that’ll shed even more light on this topic. But please feel free to ask plenty of questions here in the comments so we can help! Hello Kym, thanks for the article and all your responses! very helpful stuff! I find this wholesale model very interesting, however, I have a concern. Let’s take the same example given in the article. Assuming you can negotiate a 30% margin with the manufacturer, you would buy each unit of Vitamin C at $20,965 ($29,95 – 30%). But, if you sell each unit at $29,95, Amazon will charge an FBA fee of $ 7,49/unit, leaving you $ 1,495/unit. This represents roughly a %5 margin. If we take the 484 estimated sales per month, this represents $723 profit/month. In addition, we didn’t include any other transportation and/or warehousing and/or prep center fees. How is this model profitable? Am I missing something? are FBA fees calculated differently for wholesales products? As a newbie, what’s your best advice for finding products? I’m using JS but seems that many of the products I find are already sold by Amazon or the brand itself. Any more tips would be greatly appreciated. At this point, I’m looking for one product and it’s like a needle in a haystack. The first few sessions of both of these walk you through our entire process. I enjoyed this article. It’s given me a lot of good information. I viewed a recent wholesale site where they charge close to $2000 to teach the same methods you provided here. This articles makes more economic sense. I’d like more information about private labels and where do you begin your search? Hey Jessie, glad that you found it helpful. The best place to learn would be our content, of course! 😉 The Million Dollar Case Study is probably the most comprehensive content, so a good place to start is there! Thank you for your great feedback! I am just starting and narrowing down my research on a product. Question though, I get private labeling and Wholesale, but let’s say I was going to sell in baby, for example, if my product was a baby bottle. Lets say my company was going to be “Baby Bottle” If babybottle.com is taken, it doesn’t mean there is an actual company and I could still use the private label “Baby bottle” for example… or it may make more sense to go wholesale, but i really want to do private label, just dont want to infringe on anyone else’s product. Where do i begin to see if my private label is an actual company and not just a URL? If you have already set your heart on becoming a private label seller, and you have found a product that you don’t think would be viable as a private label item, then it’s probably best to move on with your research and find other products. Rather than to consider if you should sell that same product as a Wholesaler. The criteria for a wholesale product and a private label product are quite different. This post covers wholesale, but for more detailed information about finding private label products, make sure you check out our Million Dollar Case Study. Thanks for reading & make sure you check out the Million Dollar Case Study! Hi Kym, Great stuff here. I have a question as to how this differs from selling an already Merchant fulfilled product using the FBA model? Thanks for the insight! Thanks for reading! I think what you mean is the same as the Wholesale method. If you are selling a branded product which you are buying from the manufacturer as a reseller, and selling using the FBA model, then this is considered Wholesale. Hey Kim will you send me an email please? I would like to ask about potentially starting my wholesale business. I really want to try this and get involved. It is frustrating though because Dan’s class is closed and I need to find some more info before I jump in. If anyone as anymore steps on how to do this…much appreciated! Thank you so much Kym for your response. In this article, If i am not mistaken, LivOn vit C manufacture is LivOn Laboratories? If it is, then out of those 7 sellers, LivOn Laboratories is one of those sellers. 1) So the manufacture allow other sellers (911 Health Stop, Health Media….) sell their stuffs, why would theydo that? Why wouldn’t they be exclusive seller for their own products that they spend so much money creating it? 2) When you search LivOn Vitamin C, LivOn Laboratories Lypo-Spheric has the main BUY BOX. So how can other 7 seller make money if all customer do is to buy from LivOn Laboratories Lypo-Spheric? I don’t get this concept. a) 3,388 and divide this by 7. The scores on the doors? 484 estimated sales per month. isn’t 3,388 sales all belong to LivOn Laboratories? Many consumers may not even notice they are not buying the item directly from the manufacturer, and some consumers just assume they are buying direct from Amazon anyway. Why would LivOn do that? Increased sales and exposure for their brand most likely. All brands will take a different stance on this, but the key thing to remember is that they are generally big businesses with lots of other priorities. They will want a presence on Amazon, but by enabling other brands in their niche to sell their product too, they benefit from increased sales and visibility. Think of how big brands distribute their products across several physical stores! A wholesale business can negotiate a good agreement with a brand manufacturer by offering added guidance and advise on improving the product listing, to increase sales velocity for them, and all approved sellers competing for the buy box. Hope that helps explain better. Great article.. I think wholesale is the way to go.. Thanks for reading 🙂 Are you thinking of going Wholesale? How are youb going to improve the listing with better images, KWs, etc. if you don’t own the listing? Good question. One of the key benefits of wholesale that Dan mentioned in the Webinar is that you don’t have to spend so much time creating and optimizing listings (compared to being a private labeler). This is because you are selling well-known brands and competing for the buy box on existing listings. However, he did also mention in that one thing you can do when negotiating with manufacturers is offer added value to their brand, as someone who knows how Amazon works. For example, better product photography, product reviews or listing optimization. Oftentimes, you can still edit a listing even though you were not the one who created it! So as a reseller, you might be able to improve the listing, which would increase sales for that product. Obviously, if you are super competitive on the buy box it will increase your sales too! Hi Greg and gang, I accidentally became a wholesaler about a year ago. I didn’t know what I was doing. I didn’t even know what a “buy box” was, lol. I made roughly a 20% profit in one month of selling about $700 worth of various branded, wholesale products (I bought minimum cases from the manufacturers). I was using FBA for my own website eStore, and happened to click the “sell on Amazon, too” features in Seller Central. Not one sale on my own website, lol. But, sold out quickly on Amazon! So, I do think this is a viable method. Imagine what someone could do with the knowledge you provided here! I’ve learned a LOT since then, thanks to you! I’m a different man now. One thing to note is feedback. Not sure how reviews are done, or if that even matters to a wholesaler. We got a few seller reviews, not product reviews (people loved us, because they got that fast, Prime delivery!). A seller review is probably more important for this model. Thanks for such a knowledgeable post, and for being so generous with all you’ve learned! Hi Raj – what an amazing comment, glad to hear of your success and glad that we could help you along the way. Really interesting point about feedback and reviews when it comes to Wholesale. I am intrigued… do you actively put efforts in to try and get seller feedback as a Wholesale Seller? Would you say it depends on how well established the brand/product is when it comes to product reviews being effective as a Wholesaler? Thanks for reading and sharing your successes and insights!